Background: Activated carbon (AC) is a common adsorbent that is used in both artificial and bioartificial liver devices. Methods: Three natural materials – date pits of Phoenix dactylifera (fruit), Simmondsia chinensis (jojoba) seeds, and Scenedesmus spp. (microalgae) – were used in the present investigation as precursors for the synthesis of AC using physical activation. The chemical structures and morphology of AC were analyzed. Then, AC’s bilirubin adsorption capacity and its cytotoxicity on normal liver (THLE2) and liver cancer (HepG2) cells were characterized. Results: Compared with the other raw materials examined, date-pit AC was highly selective and showed the most effective capacity of bilirubin adsorption, as judged by isotherm-modeling analysis. MTT in vitro analysis indicated that date-pit AC had the least effect on the viability of both THLE2 and HepG2 cells compared to jojoba seeds and microalgae. 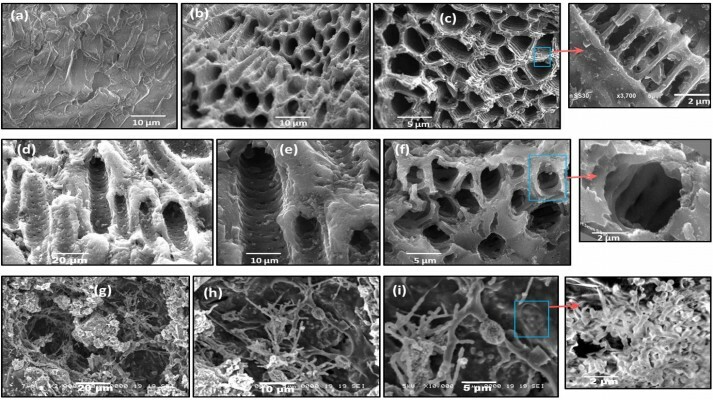 All three biomaterials under investigation were used, along with collagen and Matrigel, to grow cells in 3D culture. Fluorescent microscopy confirmed date-pit AC as the best to preserve liver cell integrity. Conclusion: The findings of this study introduce date-pit-based AC as a novel alternative biomaterial for the removal of protein-bound toxins in bioartificial liver devices.